For the first time in history, the United States has surpassed $22 Trillion in national debt. 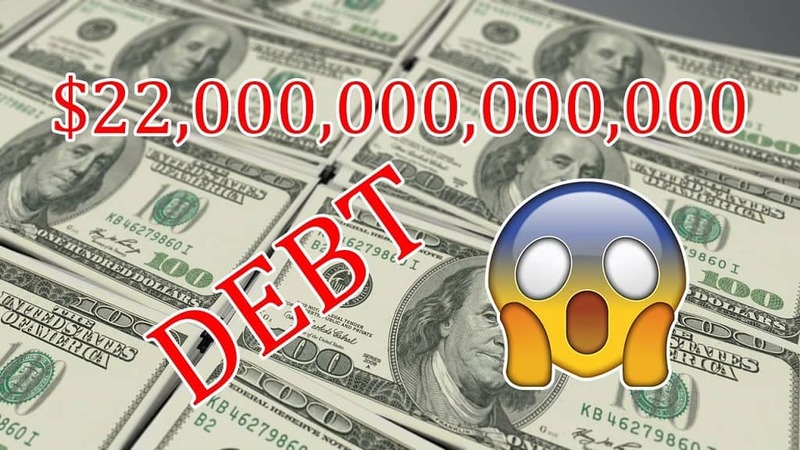 That’s Trillion with a capital T. As the national debt climbs sky-high, we are reminded as a world economy just how volatile our fiat currency is. A sad, but interesting experience is watching the national debt soar in real time. It’s a staggering view of the United States government’s lack of control. Enter: Bitcoin. With a fixed supply and policy preventing inflation, it is just waiting for all of us to come to our senses and put our money in something more stable. The US national debt catapulted by over $1 trillion in the last year, and $30 billion in the last month alone. Since Donald Trump introduced a $1.5 billion tax cut plan in 2017, the debt has spiraled out of control. To Trump’s credit, Obama was worse. He saw the national debt double under his presidency. We can blame the presidents, but it isn’t their fault. Our failing economic system is to blame. The economy may look like it’s booming, but it’s a train wreck waiting to happen. When we do experience a downturn in the economy, a government with as much debt as the U.S. has now won’t take any significant steps to intervene or help out. That’s why Bitcoin matters. When the U.S. hits another recession (and it’s only a matter of time), it will be very difficult to pay back any of this debt, especially with as high as it is. The government will be unable and unwilling to support institutions who struggle like they did after the 2008 fiasco. Instead, the Federal Reserve will print more dollars, increasing inflation, and decreasing its value. The U.S. dollar will have very little purchasing power and could lead to hyperinflation, like in Venezuela. However, Bitcoin could be the alternative money system the world needs. The fixed supply of cryptocurrency means that centralized banking institutions can’t print more on a whim. Because Bitcoin’s policies are not controlled by a single entity, and instead rely on a series of approvals on a decentralized ledger, nobody has the ultimate authority to impart taxes or any other fees on transactions. With Bitcoin, people now have an alternative currency they can turn to when the debt bubble pops. The rising national debt could very well lead to a crypto boom, although we haven’t seen that yet. Until that happens, we continue to watch the national debt rise at exorbitant rates, leaving a mound of obligations for the next generation to fulfill. When we all finally come to our senses, Bitcoin could be there to cushion the fall.